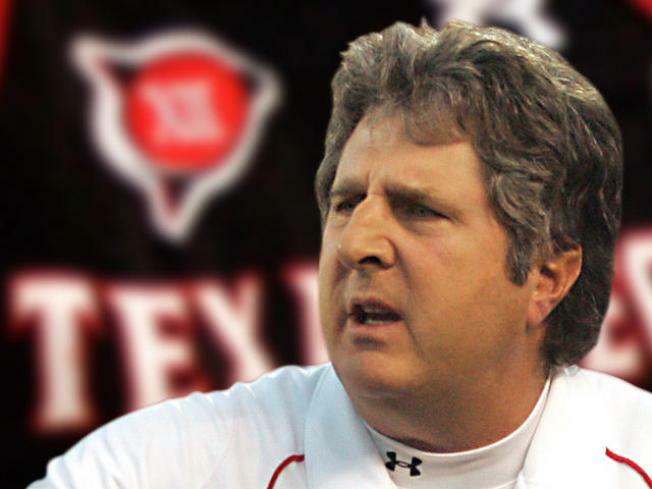 Mike Leach was fired by Texas Tech on Wednesday. As you know by now, Mike Leach was fired by Texas Tech yesterday for locking scrub player Adam James (son of ESPN analyst Craig James) in a closet/garage/shed/utility room/torture chamber while he was suffering from a concussion. It’s come to light today that James filmed himself while locked in the room. The footage will not exactly remind you of The Stanford Prison Experiment. To be sure, what Leach did was pretty stupid, regardless of what you think of the James family. This firing will put a blemish on Leach’s professional resume. And since the school fired him for cause, he’s going to have to fight to recoup whatever portion of his $12.7 million contract he feels the university owes him. So, in the short term, you could say Leach is the big loser in all this. Except that he isn’t. In fact, Leach is the one who, in the long run, will likely suffer the least out of this ordeal. Leach may have acted like an idiot, but his reputation for creative offensive play is sure to land him another head coaching job in college, or an offensive coordinator spot in the NFL. He won’t even have to sit out a year if he doesn’t want to. He can skip over to the NFL, where he needn’t worry about cocky kids getting him fired by filming their “ordeals”. His slate will be clean. He can probably get roughly the same pay, keep the same high profile, and score an NFL head coaching spot in due time if his system proves successful in the pros. Leach wasn’t exactly thrilled to be staying at Texas Tech anyway. Just last year, he was nearly dropped by the school in the wake of contentious negotiations. Just as the James saga was likely the last straw for the school to keep Leach around, the school’s lack of support for Leach was probably the last straw for him to stay. Do Leach’s actions in the past few days strike you as the actions of someone desperate to keep his job? Leach steadfastly refused to apologize to the James family for the incident. And that’s because he didn’t care if the school dropped him or not. Leach isn’t stupid. He nearly became Tennessee’s head coach last year. He knows he’s got plenty of options – better options – up his sleeve, and that he can probably wrangle a negotiated buyout from the school if he feels like pressing the issue legally. On the other hand, Texas Tech is now bereft of the best football coach it ever had. They may never nab a coach as talented as Leach again, given their location and pedigree. And Adam James will have to spend the rest of his days at Tech known as the kid who got Leach fired. Beyond school, James has already been labeled with any number of adjectives: cocky, spoiled, weak, pathetic. Those tags will stay with James far longer than Leach’s reputation for cruelty will. That privileged wimp stain is with him now for a very, very long time. All it takes is one big win with another team to forgive Leach’s debts entirely. James will have no such opportunity. Leach may have ended up the loser in this battle, but not for very long.